This review is for the Starmount Health Insurance Company, which is also known as the Starmount Life Insurance Company. Starmount Life Insurance offers different and affordable life insurance products; however, the company does not offer health insurance. Are you looking to find health insurance for you and your family? By entering your zip code in the easy to use search tool below, you can receive information about different health insurance options available. Individuals searching for health insurance due to job loss, change in income, or for any other reason, should contact another insurance carrier and agent to find the coverage that is best for them and their family. Starmount Life Insurance Company offers coverage in 49 states, and specializes is smaller coverage amounts ranging up to $100,000. Customer service representatives are available to assist current policyholders as well as answer questions from 7:30 a.m. to 8:30 p.m. Monday through Friday, and 9 a.m. to 1 p.m. on Saturday. 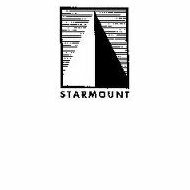 There is no information about Starmount Life Insurance regional offices or additional locations. Starmount Life Insurance offers different life insurance products that insure individuals up to age 78 from any amount between $5,000 and $100,000. The products include ValuLife Gold and StarLife Gold, and while they are different, both products offer many benefits to policyholders and their beneficiaries. ValuLife Gold offers complete life insurance protection from the day the first premium is paid, so there is no waiting period. In addition, Starmount Life Insurance offers a discount on the first month of coverage in most states. There is a money-back guarantee that allows customers to change their mind within the first three months of having the policy and receiving their entire premium back as a refund. Starmount does not impose any age restrictions, so current policyholders will continue to have coverage as long as premiums are paid up to any age. There is no complete medical exam required, and the insurance coverage can be modified to meet any individual or family budget. Starmount Life Insurance even offers a 5% discounts to policyholders who pay their premium annually. In addition, Starmount Life Insurance offers a unique living benefit that award up to half of the life insurance to an individual who has a terminal disease and is given 12 months or less to live. The remaining 50% of the policy is distributed to the beneficiaries after the policyholder has passes away. Starmount Life Insurance also has the ability to offer an additional cash benefit, up to 300%, over and above the coverage amount in the case of an accidental death that is covered through the policy, depending on the state. Since the ValuLife Gold is considered a modified life insurance policy, for the initial 10 years that the policy is in effect, the policy can be change to a premium whole life insurance policy through Starmount Life Insurance. The other products offered through Starmount Life Insurance are StarLife Gold, which is coverage that is very similar to ValuLife Gold, with a few differences. For the StarLife Gold insurance product, once an applicant has been approved, the rates will never increase even if the health status of the policyholder changes. Individuals who make their premium payment on time can be covered up until the age of 95. StarLife Gold can pay out a maximum of $100,000, unless the individual has signed up for the addition double or triple coverage available through the accidental death program. StarLife also offers a large monthly discount for the first premium payment, as policyholders are only charged $1.00 for the first month of coverage. Rated B++ (Good) by the A.M. Best Company, the Starmount Life Insurance Company is accredited by the Better Business Bureau and has an A+ rating from the BBB. Starmount Life Insurance has been named one of Inc. Magazines Fastest Growing Private Companies in 2007, 2009 and 2010. The career link on the Starmount Life Insurance website offers information about specific positions, available benefits, and the ability to apply online for a position.